We are grateful to you, our many loyal customers. We appreciate your business. Here is just a sample of the nice things that many of you have said about us. "Our continuous partnership with SIC is sustained by their exceptional employees who help run their facility and ensure high quality. The employees at SIC are genuinely good people who are in tune with the etiquette of customer service." 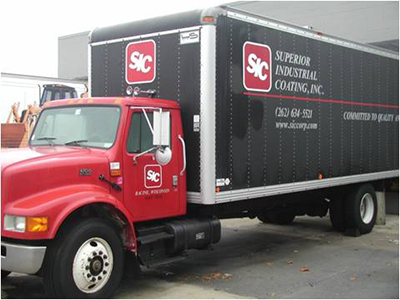 "SIC's responsiveness and timely delivery has helped ensure that our company meets specified delivery dates." "SIC is on a pattern where the quality rating continues to improve, while the delivery rating continues to be 100%." "CNH as been a partner with SIC Inc. for over 25 years. SIC is one of CNH's main suppliers where SIC continues to engineer the process in order to meet the challenges of today's economic times. SIC has and continues to supply CNH with the ultimate quality at a competitive cost. It should be noted that SIC has been instrumental to find ways to cut cost as the project progresses." Since the establishment of Superior Industrial Coating in 1957 we have lived by the motto, "Committed to Quality and Service." Our dedication to understanding and meeting the needs of our customers has allowed us to climb the ladder to become a top company in the coating and finishing industry. Our continuous growth has allowed us to increase our quantity of production while decreasing our overall production time. 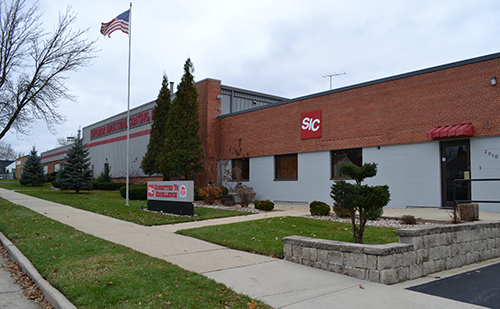 Covering locations from Wisconsin to Europe to the far east, SIC provides services worldwide. From pre-treating to coating, to packaging and shipping, our capabilities are endless. If you’re looking for great quality with impeccable service for a low cost, then look no further, SIC is here to serve you. We understand the difficulties that come with hard economic times, which is why at SIC we work with you to reduce the cost of your production. At SIC our facilities total 215,000 sq. ft. of manufacturing and office space while utilizing 6 major production lines. Visit our Facility page to learn more. Based in Racine, Wisconsin, we are ideally located to deliver parts to Milwaukee and Chicago daily. Not limited to this area, we have many satisfied customers in the Midwest as well as throughout North America and Europe. We ship direct to anywhere in the world our customers require. SIC has a sister company, called Superior Ornamental Iron Rails, which specializes in custom made railings, gates, fences, stairs, and has a European designer on staff that utilizes old world craftsmanship. Superior Industrial Coating Inc. Employees are committed to a high quality workmanship and service which meets or exceeds our customer' requirements. Our objective is to be recognized industry wide as a service of the highest quality that can be obtained in the market place on a timely basis. We foster and encourage open and active participation in all facets of our organization in attaining these goals.